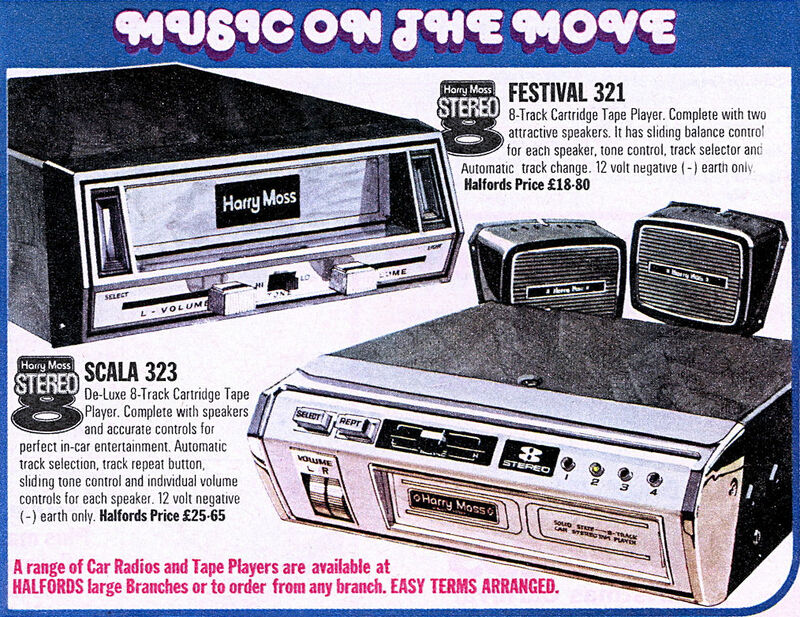 All of my YouTube uploads are available on my channel, which you can access from the link above, but I have catergorised them here into the BBC Micro Music Demos, TV Adverts from the Latter part of the 20th Century, Music Clips from Soundfonts and Midi Files, TV Clips/other stuff and Slideshows. I have also written a detailed breakdown of my YouTube channel. These clips are captured from old VHS tapes and a few Betamax ones. A free promotion video by Microsoft issued in 1994. 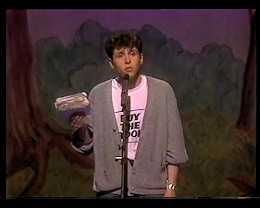 A young Dave Gorman on Packet of Three in 1991. 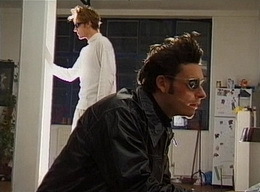 A set from Johnny Immaterial (Jonathan Meres) from the same show that had the young Dave Gorman in. 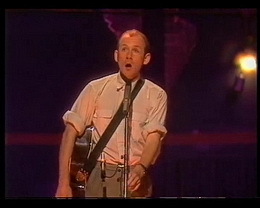 The show was transmitted on 6th September 1991 and writer/actor Jonathan Meres has gone on to write The World of Norm books and appear in several films and TV Series. 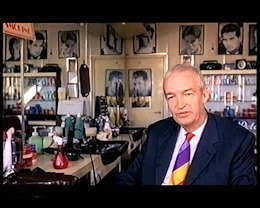 One of Channel 4 promos with interviews of celebrities about what they are guilty of. This was a comedy from May 2001 with Davina McCall as Sam who lives above a shop and sublets to Alex (Ed Byrne). Only six episodes were made. 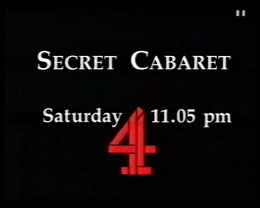 This is a promo for The Secret Cabaret, a Channel 4 magic themed television programme conceived and hosted by Simon Drake. 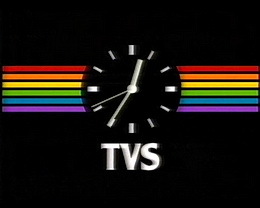 Television wasn't always transmitted 24 hours a day, and this is the end of programmes on Television South in late 1982, with the national anthem played before closedown. 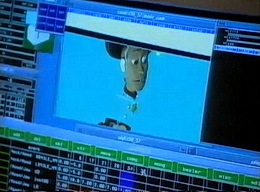 An extract showing the breakfast time honey on CD test. 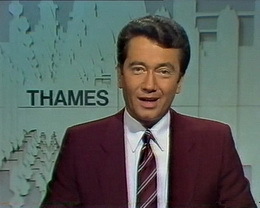 A short continuity clip from Thames Television in 1982 featuring Tom Edwards. 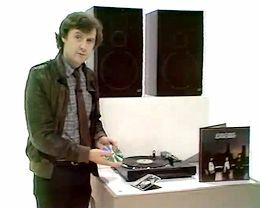 Kieran Prendeville explains this new thing call Compact Disc. Howard Stapleford shows a computer enhancing the playing of a musical instrument. 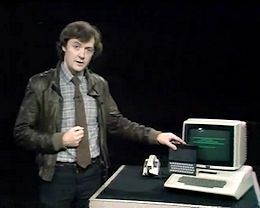 Kieran Prendeville presents the tranmission of an Apple ][ and ZX81 computer program. Here are screen captures of the programs tramitted on the Tomorrow's World program on BBC at 6:55pm on 3rd December 1981. A compilation of 24 Films and TV Series that mention Aldershot in the dialogue. A supercut of 25 Films that ask that question. A supercut of 22 Films that ask that question. A supercut of 39 Films that ask that question. It's the one where they say "What have the Romans ever done for us?" A supercut of 35 Films that ask that question. A supercut of 50 Films that ask that question. A supercut of 20 Films that make that statement. A supercut of 28 Films that ask that question. A supercut of 37 Films that make that statement. A supercut of 20 Films that utter that James Bond line. A supercut of 80 Films that ask that question. A supercut of 51 Films that make that statement. A supercut of 60 Films that utter that ask that question. A supercut of 54 Films that utter that ask that question. A supercut of 38 Films that utter that common line. A supercut of 35 Films that utter that common line. A supercut of 54 Films that ask that question. A supercut of 60 Films that ask that question. A supercut of 42 Films that feature that expletive. A supercut of 33 Films that feature that that seasonal message. A supercut of 37 Films that feature that expresion. A supercut of 33 Films that feature that expression. A supercut of 21 Films that feature that expression. A supercut of 27 Films that feature that expression. A supercut of 35 Films that feature that statement. I've cut up 41 Hammer films to recite the lyrics to The Carpenters song (They Long To Be) Close To You. 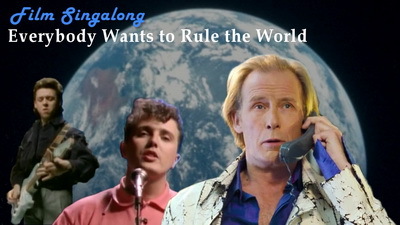 A singalong of Tears For Fears 1985 hit Everybody Wants To Rule The World, using clips from 84 films. A singalong of Prince's 1986 hit Kiss, using clips from 96 films. 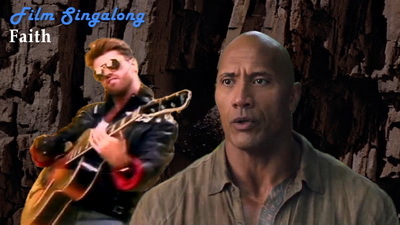 A singalong of George Michael's 1987 hit Faith, using clips from 98 films. A film singalong of Kylie Minogue's 1987 hit I Should Be So Lucky, featuring clips from 85 films. Early footage of Ozzy playing at home, but not quite house trained. Stopped for a break in the park, but someone wanted to keep walking. 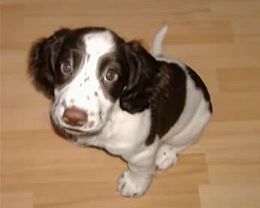 A small slideshow tribute to Ozzy, my niece's Springer Spaniel, who passed away in April 2017. An animated photo of my niece's Springer Spaniel Ozzy as a puppy, created with Crazy Talk. 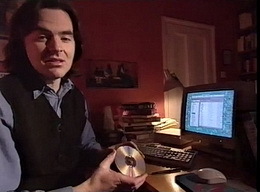 An excerpt from the 4th series of The Net, a technology show that was on BBC 2 in 1997. 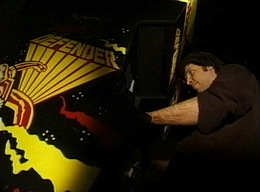 Guest reviewer Dan O'Brien (technology journalist) explains the interest in old arcade games. An excerpt from the 2nd series of The Net, a technology show that was on BBC 2 in 1995. 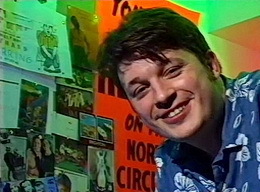 Guest reviewer Richard Herring (comedian) searches for comedy on the web. 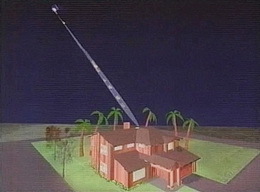 An excerpt from the 4th series of The Net, a technology show that was on BBC 2 in 1997. Guest reviewer Trude Mostue (Norwegian veterinary surgeon from BBC TV's Vet School) tries out virtual pets. 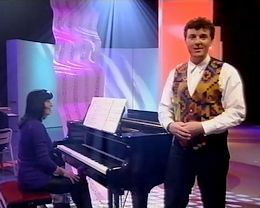 An excerpt from the 4th series of The Net in 1997. 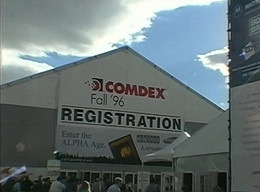 Guest reviewer Rupert Goodwins (technology journalist for PC Magazine at the time) reports on the Computer Dealers' Exhibition in Las Vegas in 1996. An excerpt from the 4th series of The Net, a technology show that was on BBC 2 in 1997. 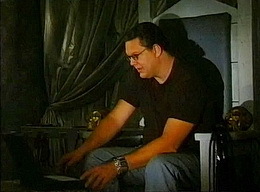 Guest reviewer Penn Jillette (magician) tries out some CD-ROM games. An excerpt from the 4th series of The Net, a technology show that was on BBC 2 in 1997. Guest reviewers The Pod (techno futurist dance collective) identify the different types of PC users. An excerpt from the 4th series of The Net, a technology show that was on BBC 2 in 1997. 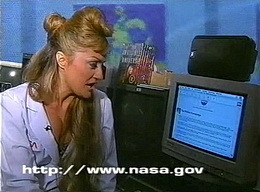 Guest reviewer Dr Fiorella Terenzi (Italian astrophysicist and recording artist) searches for space related web sites. An excerpt from the 2nd series of The Net, a technology show that was on BBC 2 in 1995. Presenter Ben Wooley shows how technology can help the travelling businessman. 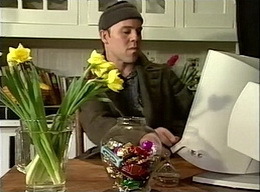 An excerpt from the 4th series of The Net, a technology show that was on BBC 2 in 1997. A piece on using satellites to increase the speed on internet access. 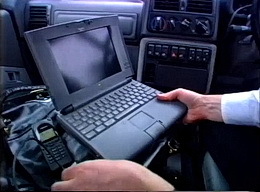 An excerpt from the 2nd series of The Net, a technology show that was on BBC 2 in 1995. 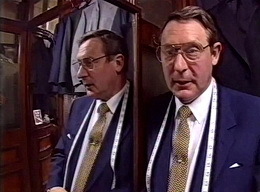 An end piece showing how a Saville Row tailor is embracing new technology. 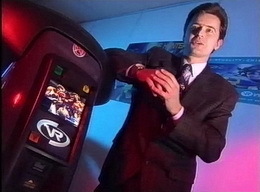 An excerpt from the 4th series of The Net, a technology show that was on BBC 2 in 1997. 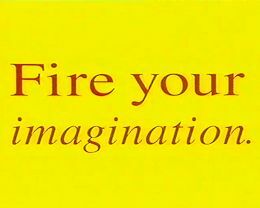 A piece on Pixar and other graphic companies using CGI in films. An excerpt from the 1st series of The Net, a technology show that was on BBC 2 in 1994. Jonathan Waldern, managing director of Virtuality, and Barrie Sherman (Industry Analyst) talk about Virtual Reality games. An excerpt from the 1st series of The Net, a technology show that was on BBC 2 in 1994. Presenter Ben Wooley explains the latest addition to a PC, CD-ROM. An excerpt from the 1st series of The Net, a technology show that was on BBC 2 in 1994. 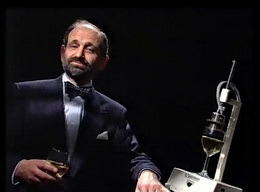 An end piece showing how computer software can sniff a wine. An excerpt from the 1st series of The Net, a technology show that was on BBC 2 in 1994. Thomas Dolby explains how to create interactive music for adventure games.